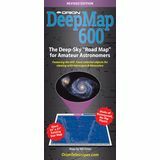 The perfect road-map style star atlas, DeepMap 600 includes color coded symbols for 500 galaxies, nebulars, star clusters, and 109 Messier objects. Printed on completely dew-proof durable plastic. For Northern Hemisphere use. 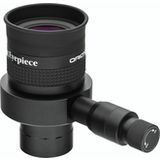 A great tool for bringing out details in the planets and Moon is this 1.25" set of four Orion Color Telescope Filters. Each colored filter brings out different details in the planets allowing for a totally different view. If you are an avid astronomer you know that you should always use red light instead of white to help protet your night vision. 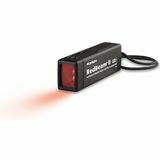 The Orion RedBeam II LED Flashlight has adjustable brightness which lets you observe without ruining your night vision. 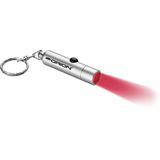 The Orion RedBeam Mini LED Flashlight is an essential astronomy accessory for reading star maps or looking inside your accessory case at night. It has an aluminum housing, rubber ON/OFF switch and includes batteries and key ring. 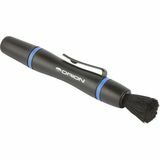 The Orion LensPen Mini Pro Cleaning Tool is specially designed to clean any lens surface. It has a retractable natural hair brush for large particles on one end and a flexible cleaning tip equipped with chamois pad for smudges on the other end. 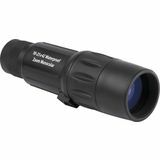 The Orion 10x42 Waterproof Monocular is your perfect all weather viewing companion. Quick set up and easy focus adjustment lets you capture those rare exciting moments up close. Includes a removable carrying strap. 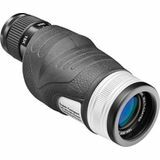 Our compact 10-25x power zoom monocular is sure to please any outdoor enthusiast thanks to its versatile magnification range and rugged, waterproof design. 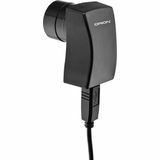 Great for scanning at 10x power, then boost up to 25x for significantly closer views. 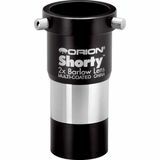 The Orion Shorty Barlow Lens doubles the power of any telescope eyepiece. It has a multi-coated lens that lets in more light and allows you to enjoy higher-power, sharper images without eye strain. 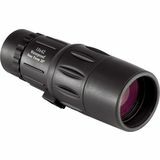 Ideal for birders and all nature-lovers, the Orion Super-Compact 10-20x30mm Zoom Spotting Scope is the perfect, take-anywhere companion for those who want a closer look at the beautiful world all around us. 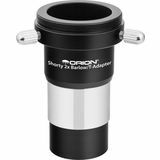 Whether used visually or for astrophotographic pursuits, the Orion 1.25" Shorty 2x Barlow Lens and Camera T-adapter will provide night after night of convenient, power-doubling performance. 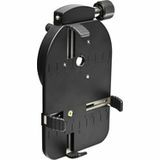 Features T-threads for easy and secure camera attachment. 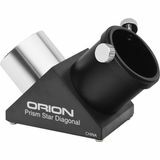 The 1.25" Orion Prism Star Diagonal produces right-side-up images that are reversed left to right. 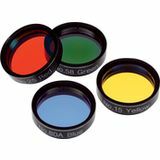 The fully coated prisms provide superior image fidelity. 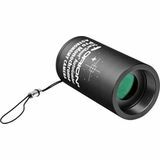 It is not recommended for use with reflector telescopes or for terrestrial observing. 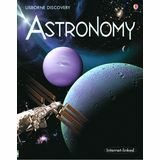 In this book, you'll discover some of the amazing things that are out there, many of which you can see with just a pair of binoculars or a small telescope. 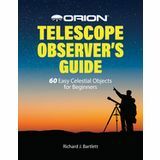 Use your telescope and the Orion Telescope Observer's Guide to explore over 60 interesting celestial objects! Written by Richard J. Bartlett, this must-have introduction to exploring the sky with a telescope is packed with helpful tips and info. 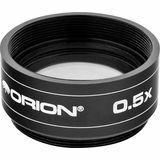 For testing the accuracy of your tracking system, or centering stars for GoTo system alignment, the wide field of the Orion 20mm Illuminated Centering Eyepiece makes it easy. Just use the illuminated crosshair to acquire and center any star.